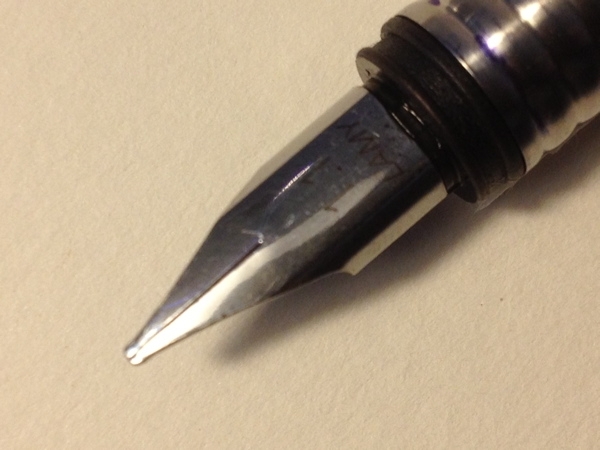 Recently I decided to replace my trusty drawing ink pen, a Reform calligraph with 0.9 italic nib. I had memories of a selection of still used Parker pens from my youth and a vague recollection they weren’t my first. Somewhere around Second class, our primary school teacher decided her students needed to learn to write correctly (Ok! neatly, legibly). The start of year book list stated we needed a fountain pen and where we could get one. Good old SOS (School and Office Supplies). 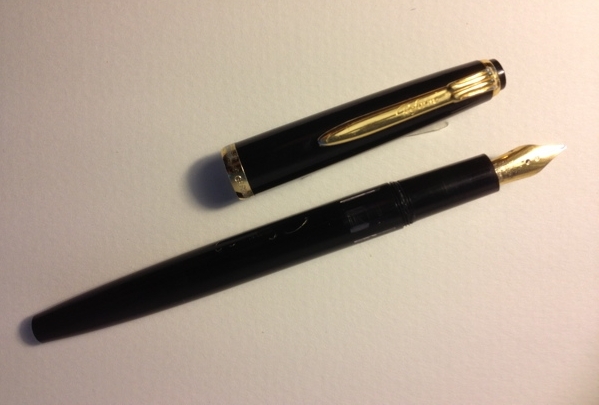 My first fountain pen was a 1970’s Platignum school pen with a Platignum 41 ST Medium nib. Bright yellow clearly I had a sunnier disposition as a child. 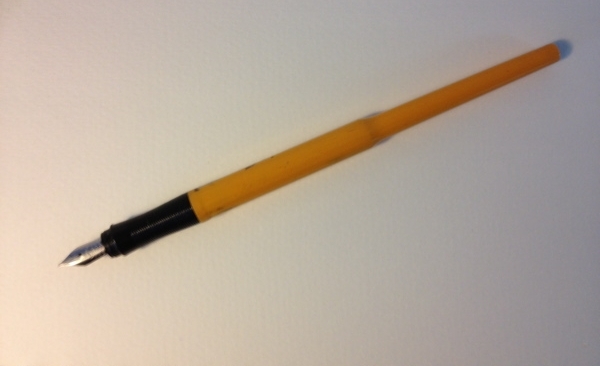 The pen had a black cylinder shaped lid that posted neatly on the narrow end of the pen. The twist/ screw end out. Despite owning a number of other fountain pens this scratcher came to college too. Going into retirement only after the lid rolled off the desk into a crack between the floorboards at LSAD during my foundation year of college. 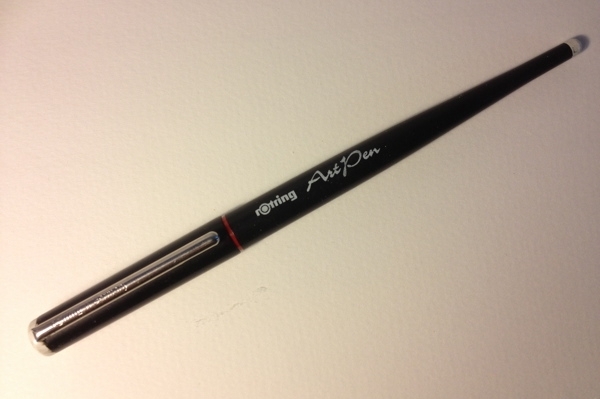 By which time ‘rotring‘ brought out a selection of artists fountain pens. The pen featured below, houses a relatively unused 2.3 italic nib (you can probably tell by it’s less than scratched nib, that’s not rust it is sepia brown ink residue). It used a small cartridge though the body could hold a spare cartridge back to back with the one being used. A rotring ink converter is also available. I use an Osmiroid converter in mine. I still use the EF rotring pen for taking notes by the computer. Due to transportation issues, it doesn’t travel well. Four years at the Limerick School of Art & Design and two more at the London College of print, I’d gathered a selection of inexpensive fountain pens and drawing dip pens. For years I’d browsed the windows at The Pen Corner, Fountain pen specialists since 1927– 12 College Green, Dublin, like the proverbial ragamuffin gawping into a cake shop. Armed with my mothers old school pen, a 1940’s Conway Stewart, No 388, (like the one on the Conway Stewart Pens website banner logo) my excuse was to ask how much it would cost to have it cleaned properly. Establishing, refurbishing the Conway Stewart at that time was out of my budget. Did you know in the 1960’s jewellers would refurbish fountain pens in Ireland? I shared my real reason for being there. 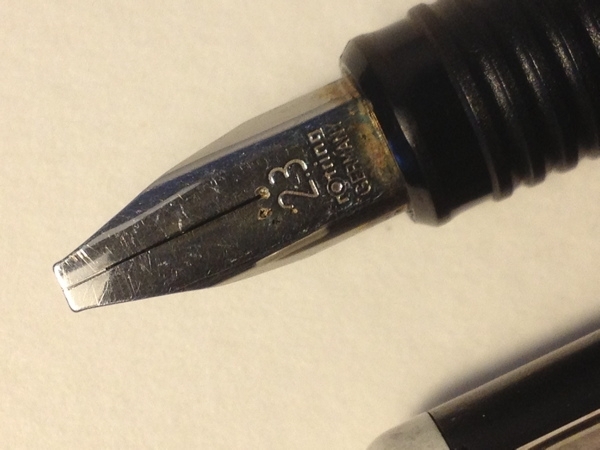 I liked to draw with pen and ink and had a preference for italic nibs. 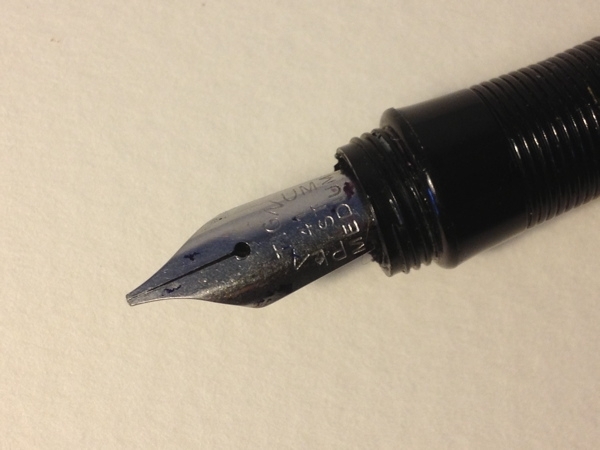 Was there such a pen that had an italic nib & could be refilled or take a cartridge? The lady behind the counter informed me a new pen had come in recently that might be just what I wanted. (Circa 1994) a Reform calligraph. 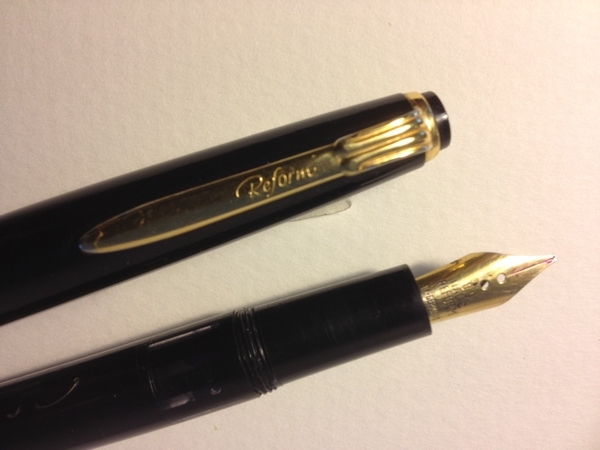 The Reform had a 0.9 nib, which looped, squiggled, drew lines and letters like a dream. The ink flowed freely and the pens ink capacity was something else. 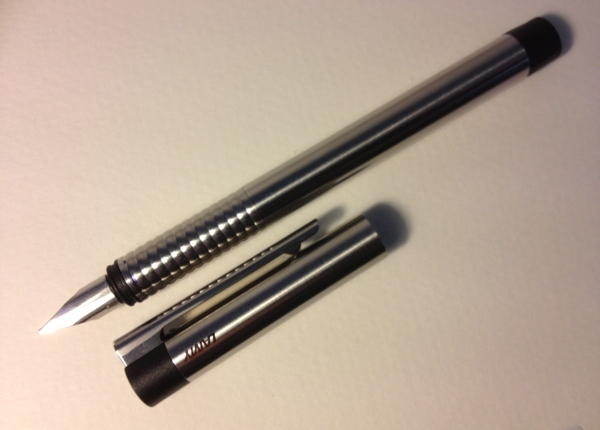 It is a piston filling fountain pen, a style that has greater ink capacity than most other fountain pens. The ‘Reform Calligraph’ served me well for nigh on 20 years, despite shortly after its purchase, my beau of the day pulling instead of twisting the lid off effectively destroyed it air tightness. 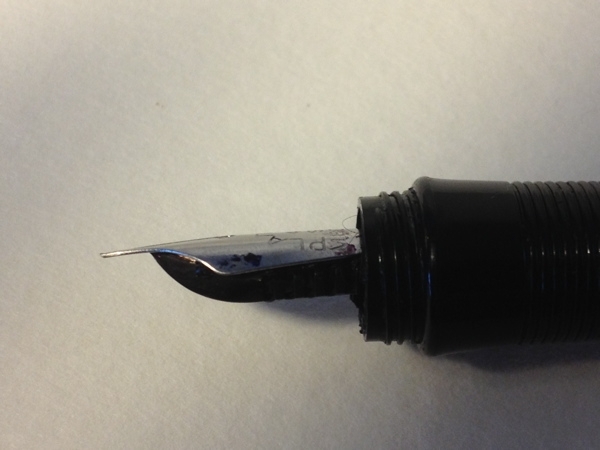 The end result being if the pen wasn’t used daily the ink would dry in the nib. Eventually it gave up the ghost and needed replacing. Besides the Internet where you can’t try before you buy, there are few places in Ireland where one can buy a fountain pen much less, one to take an italic nib. The fellow behind the counter at The Pen Corner sadly informed me that Reform were gone and it wasn’t possible to get a replacement. He suggested a Lamy. He showed me three styles of Lamy. 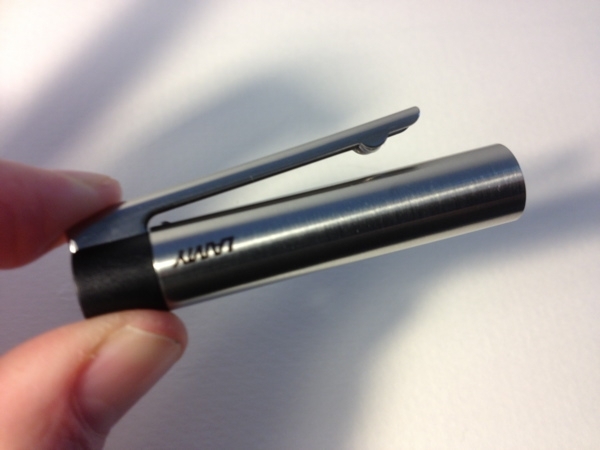 I preferred the solidity of the Lamy logo. I didn’t discover it’s name until a few days later. The 1.1 italic nib, I requested wrote well, smoothly, without catching no matter what direction I wrote in even when I applied some pressure. The ink kept up with my strokes. I preferred the weight of the Lamy logo over the other two suggested pens. 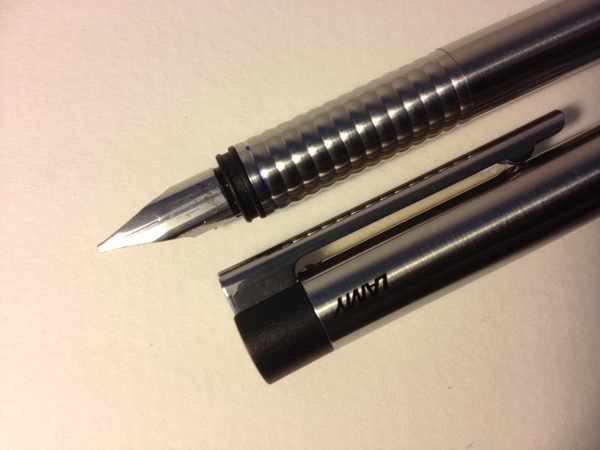 The black Lamy though of similar length felt lighter and was slightly thinner. The other was broader in girth than my italic Sheaffer. It felt short and clumsy, even with the lid posted, in comparison to it’s elegant sibling. I hold the pen barrel quite high, away from the nib. I use a light touch so the nib and weight of the pen do most of the work, only applying force occasionally. Granted the Lamy logo, matt black doesn’t look like a conventional fountain pen. It’s part of the Lamy office range. There are a few design quirks. At the top of the lid is a gap, when you pinch that end of the clip the far end widens allowing unencumbered clipping, while a small ball bearing slides over the clipping-to surface. 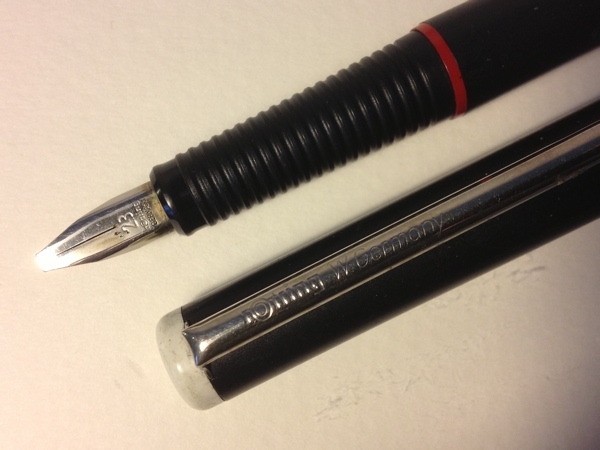 Though the pen is cylindrical with the same circumference along the barrel it’s possible to post the cap as strips at the top, depress slightly to allow the cap to fit snugly. There is also an all metal version. 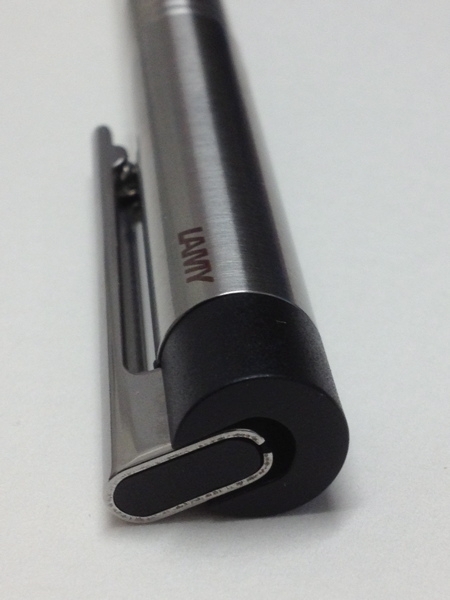 Lamy Logo Brushed. Hmmm! Time will tell if this is a worthy successor to the Reform. Thank you for the post. I do enjoy reading. I am yet to warm to my Logo, there are other fountain pens I have that get more use.